A Word Of Encouragement | Ms Moem | Poems. Life. Etc. I got a lovely email from a lady who wanted to know if I thought it was worth her while to publish some books she’d written and to try and make a go of making poetry her living. I’m not really a careers advisor, so I decided that the best response would be a poem. Here it is! What do you think? To see where it takes you. Then you won’t ever know. So just give it a go! 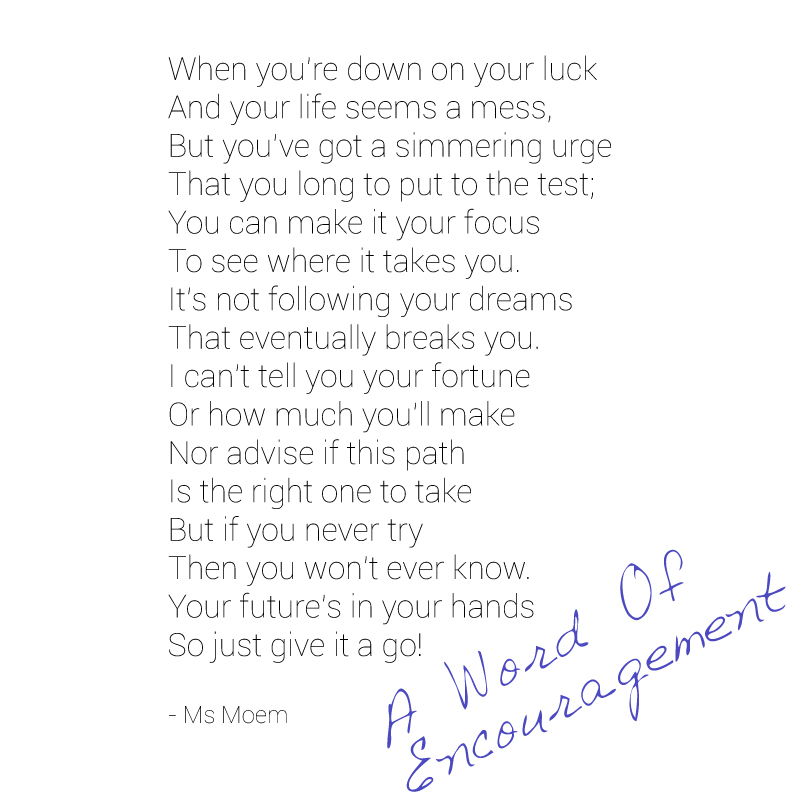 A Word Of Encouragement is a poem written by Ms Moem. Please do feel free to share my work as long as you credit me and link back to this original post!